Verification system is finally here! Well, it took us some time and a lot of effort, but we’ve finally made it! This one was our most complicated and most requested feature. 1. False performance, which could be easily manipulated by uploading fake account statements. 2. Users who use the investor password to publish the account as if it were theirs. The first issue is resolved by using your investor password (Can be inputted in the account settings form) – we connect several times a day directly to your broker and download your original trading history. The original trading history is then compared against the data sent to us by you and if no discrepancies are found, your track record will be automatically marked as verified. However, if discrepancies are found, they will be corrected using the original data from your broker, and your account will be recalculated automatically. The second issue is resolved by verifying your trading privileges using a unique key we give you (Can be also found in your account’s settings form). Once you receive the key, you will then be required to open a trade in your trading account (You can use the smallest trade size possible) with the key as the trade’s comment – when we will connect to your account with the investor password and locate the key we gave you, your account will be verified for trading privileges. On that note, if you spot someone publishing your account as if it were theirs with your investor password – just let us know and it will be removed immediately. Oanda’s accounts are marked immediately as verified both for the track record and the trading privileges as the data comes directly from Oanda’s servers, and the trading history link can be obtained only if you have access to the trading platform. For the next several weeks, we will be tweaking and modifying our systems for the verification system to work as smoothly as possible, so if you encounter an issue, please let us know and as always we will resolve it as soon as possible. The new verification system also changes the systems search concept – only verified systems will appear on the systems page! 1. The HTML export option can be used to embed your account statement on your blog/website, including history sort capability and a short statistical summary of your account’s performance. 2. The CSV export option is meant for those who want to make some calculations of their own in Excel (Is Myfxbook really not enough? ). 3. The PDF export option will enable you to create a clean PDF statement, allowing you to easily print your trading history. As with all of our data sharing features, these are fully customizable as to the level of the information you want to share (account permissions also apply here), or with whom to share it (Invitations). Oh, before we forget, there is one more feature added – dollar values for the advanced statistics summary, so you now know exactly how much money did you win or lose specifically in each currency (new stats will appear after your next data update). Well, that’s it for now, and we do hope you can make good use of these new additions. 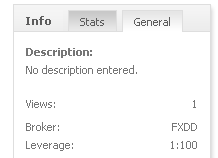 Topics and systems now have a view count, so you can know if your topic or system is popular among Myfxbook users. Also, we would like to thank you for helping us develop and test our verification system by filling in the required details in the account settings – we’re making progress, and hopefully it should be ready in a week. Have a successful trading week! We’ll be back in about 20 minutes. We’re currently experiencing some issues with our servers, and working as fast as we can on resolving it. Update – Website is back up, we’re trying to figure out what went wrong. Update – We’ve found what caused it. Maintenance will be performed at the weekend to rectify the issue. As mentioned in our previous blog post, we’re working on a verification system which will verify the account’s performance and real owner (MetaTrader 4). We’re currently in the testing phase of our system and need your help in testing it. Please select your server and enter the investor password . Investor password is a read only password to your account and will not be shared with anyone. If your server is not on the list, please contact us and let us know. 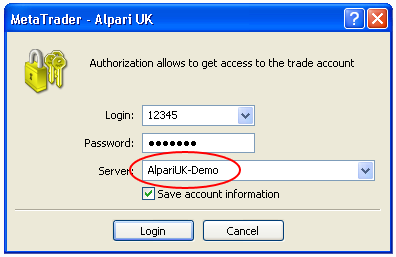 You should be able to find the investor password in your registration mail in the MetaTrader mailbox. The more users fill this, the faster we can test and release this important feature. You are currently browsing the The Myfxbook Blog blog archives for November, 2009.